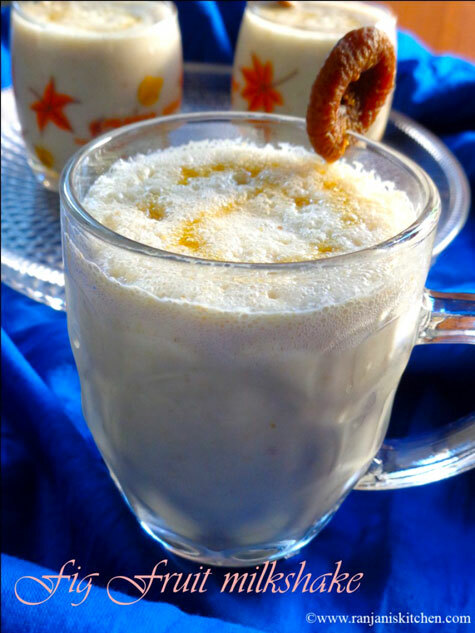 Dry Fig Fruit Milkshake!! We often buy dry figs as it is gud for our health. They are rich in vitamins and minerals. Thought of preparing something different with this fig fruits. I already posted Dry Fig Fruit Halwa. 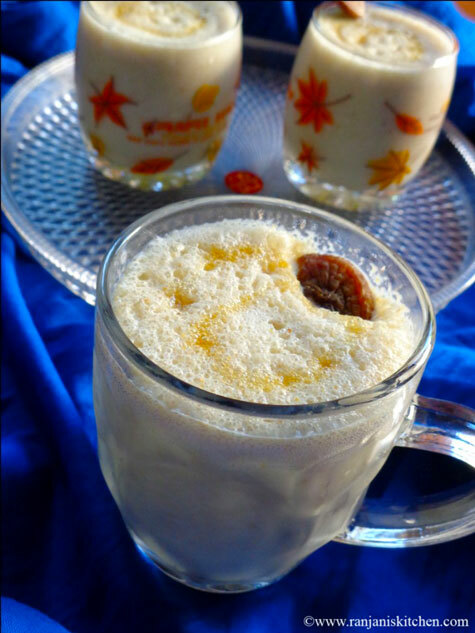 Now tried out milkshake using dry figs with combo of honey.Fig fruit milkshake is a healthy and tasty refreshing drink. 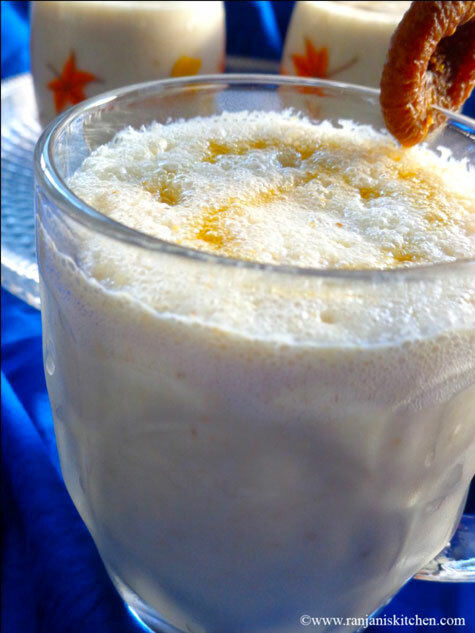 If u get bored of simply eating the fig fruits, u can make this milkshake and enjoy with ice-cream. Soak fig fruits in hot water for atleast 30 – 40 min’s. Then drain the water and cut into small pieces. 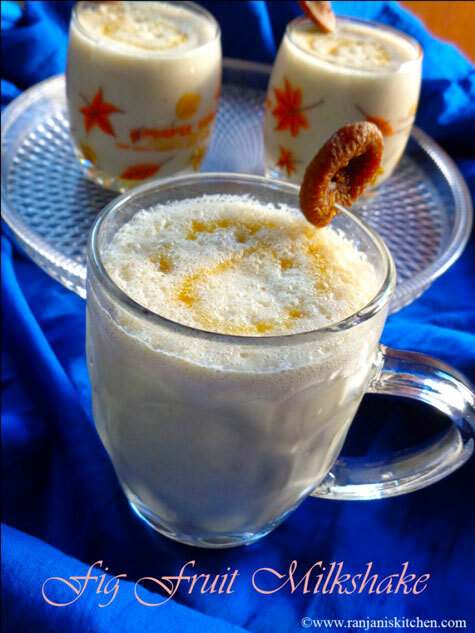 Add Figs, chilled Milk, Vanilla ice cream, Honey, Sugar together in a Mixer. Process until it becomes smooth and creamy milkshake. Pour in glass and serve with Honey touch or a scoop of Ice cream. If you are Diet conscious, Skip sugar and increase Honey level. It is must to Soak Dry fruits in hot water to make it softer. Looking for more summer drinks ?